DENMARK: Donald Hobern is the Executive Secretary of the Global Biodiversity Information Facility, the world's central database of biodiversity data based in Copenhagen. 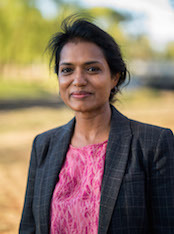 INDIA: Mallika Robinson is a PhD in Citizen Science and Computer Systems, and the Co-Director of QuetsaGame, a biodiversity gaming app. Mallika runs QuestaGame's India Program. Erin Roger, Senior Scientist, Office of Environment and Heritage, NSW. Serge Belongie, Computer Vision Group at Cornell Tech. Scott Loarie is Co-Director of iNaturalist, a joint venture of the California Academy of Science and National Geographic. iNaturalist is based in San Francisco. Jessie Oliver, ACSA Committee Member, Citizen Science design, Queensland University of Technology. Director, Centre of Biodiversity Analysis, Australian National University.